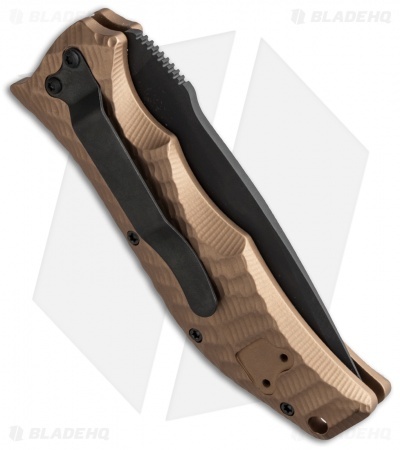 The HTM Gun Hammer automatic knife is modeled after Darrel Ralph's custom design. 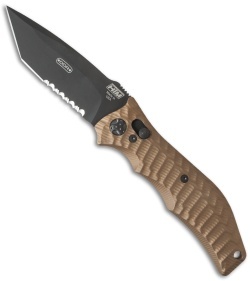 The Gunhammer auto has smooth hard-hitting action and solid confidence inspiring lockup. 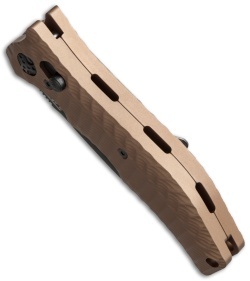 The ergonomic tactical ETAC grip pattern handle is 3D machined from aircraft grade aluminum with a flat dark earth finish. The Tanto blade is CPM-S30V stainless steel with a black DLC finish and partially serrated edge. 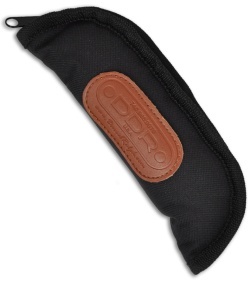 Comes in a padded black nylon pouch.